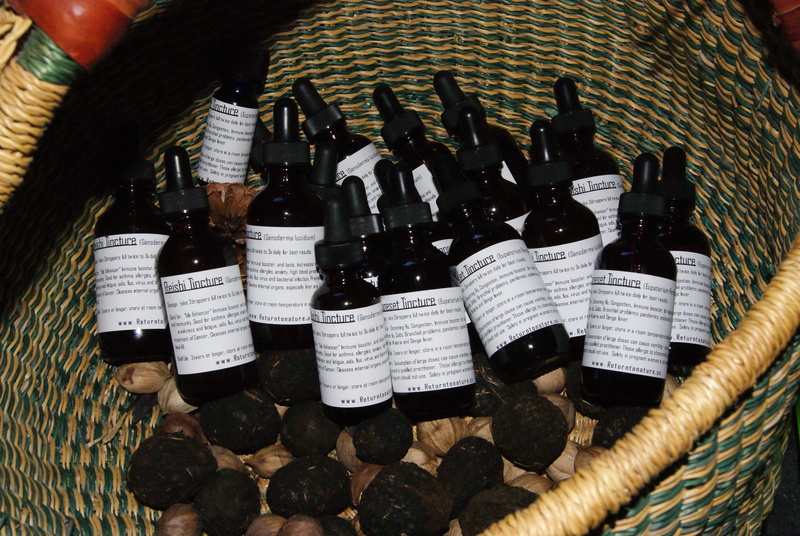 I have tinctures available. There is a limited amount of each for and I will have them available for while the supply lasts. All of the processing, from gathering to harvesting was done in a sacred way. Your support goes to making more herbal gifts, and furthering my education and teaching. Please specify which tincture you would like in your order. All tinctures come from my own private collections of medicine, I make extra for those in need, and those who feel the call. Here is the information about their harvesting rituals and uses. The Boneset came from the herb farm of my herbal teachers, at Heartstone Herbal School in Van Etten, NY. They are made with 50% organic grain alcohol, and 50% self-harvested mountain spring water from Ithaca. I extracted them on my altar for 3 full moons and bottled them from start to finish with prayers of healing. Every step of the harvest, from harvesting the water, to harvesting the herbs, was done with prayer and healing intent. Boneset is great to take for oncoming flu feeling, body aches and pain from flu, as well as to relieve congestion. It is an immune booster, and good for colds, bronchial problems, pandemics, epidemics as it was traditionally used for malaria and dengue fever. Boneset should be taken as symptoms arise for no longer than 7 days. Take 1-2 droppers full twice daily for best result. Contraindications to taking boneset: Consumption of large doses can cause vomiting- use as directed or consult a qualified practitioner. Those allergic to chamomile, fever-few or ragwort should refrain or use with caution. Safety for pregnant women is not established. Passionflower is is a powerful relaxant to the immune system, great for insomnia, hyperactivity, spent nerves, nervousness, stress, and inability to rest and relax, asthma. The Goldenrod came from my herbal teachers farm at Heartstone Herbal School. They are made with 50% organic grain alcohol, and 50% self-harvested mountain spring water coming from the side of a mountain in Ithaca. I extracted them on my altar for 5 full moons and bottled them from start to finish with prayers of healing. Every step of the harvest, from harvesting the water, to harvesting the herbs, was done with prayer and healing intent. Goldenrod tincture is good for reducing allergies, hay fever, sinus infections, mucous problems, head colds, UTI, prostate problems, bladder and kidney infections and stones, muscular cramping, chronic skin conditions, crohn’s and intestinal infections. Take 2-4 droppers full twice to 3x daily. Purported allergies to goldenrod are often due to ragweed which blooms at the same time. Minor allergic reactions can occur in people who are prone. The Reishi mushrooms were wildly harvested from the forest by me in a prayerful and ethical way from start to finish, leaving plenty for other beings, and for the mushrooms own re-population. I extracted them in organic grain alcohol and self harvested mountain spring water from Ithaca. I let them extract on my altar for 3 full moons and bottled them with prayers of healing. This is a sacred gift from nature that I am sharing because I hope to help heal our community with natural and organic methods and to share the gift of natures alternates to pharmaceuticals. Take 2 droppers full 2 to 3 times daily for best results. Reishi is a general life enhancing tonic and immune booster. It increases strength and immunity. Good for asthma, allergies, anxiety, high blood pressure, bronchitis, weakness and fatigue, aids, flus, virus, and infection, prevention and treatment of cancer, cleanses internal organs especially liver and kidneys. Reishi is a real Heal-All and is best used daily. Please feel free to email at Dan@returntonature.us for inquiries or any questions. I have a passionflower tincture sitting now which will be ready in a few full moons, and goldenrod tincture will be available soon. Let me know of a suggested medicine you would like to see available. Also, ask about my custom medicinal tea blends specified to each persons healing needs.